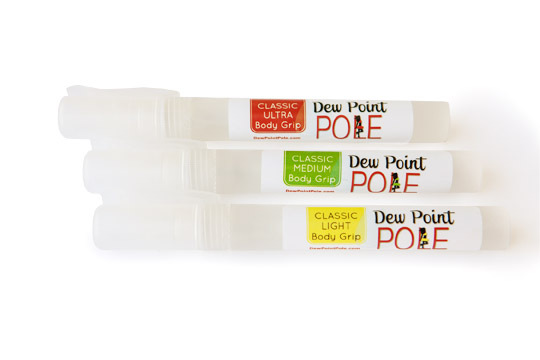 Dew Point Pole naturally moisturizes your skin while increasing your grip on the pole. With this revolutionary new moisturizer you no longer have to choose between dry skin OR the pole… you can have it all! Many of our customers use 2 formulations. One for winter when it is drier and one for summer when it is usually a bit more humid. We also have customers that use one formula for when they are home and another formula to suit the climate of wherever it is they may be going for competitions/tours/performances.